Wandspotlight mit verchromte Basis und Fassungen, Lichtschirm aus Mattglas. Idealer Spot für die Badezimmerbeleuchtung mit Schutz gegen Spritzwasser. 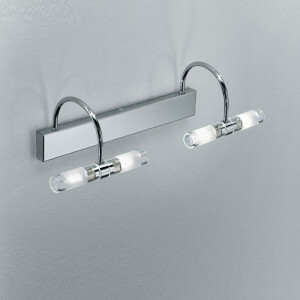 Halogenquelle 33 W.
Wall lights with a chromed metal frame and transparent glass diffusers. This bathroom spotlights have two 33 watt bulbs and measure 14 x 10 cm. 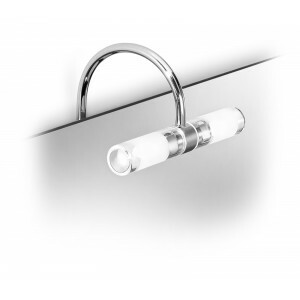 Chromed wall light with white etched glass diffusers. 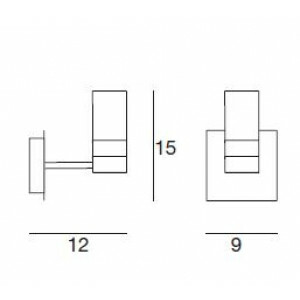 Halogen light fitting for wall mounting, characterised by four 33 watt bulbs and a special protection against water jets. These spotlights have a curved chromed metal arm and a white etched glass diffuser. 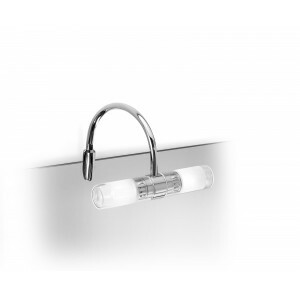 This lighting fixture is especially suitable for bathroom illumination thanks to its protection against water jets, and uses two 33 watt halogen bulbs. 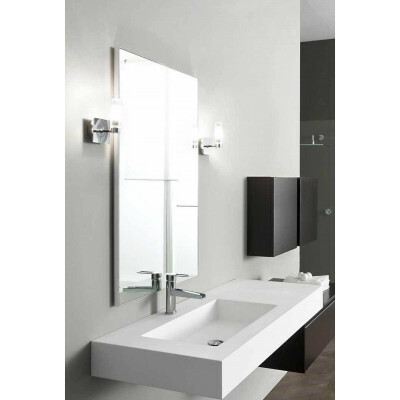 Fotis spotlights have a chromed metal frame and a white etched glass diffuser. 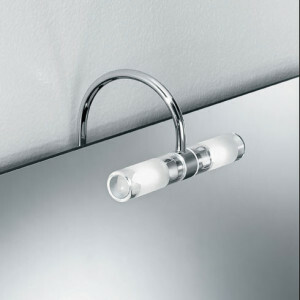 This lighting fixture can be mounted directly on the mirror thanks to its protection against water jets, and uses two 33 watt halogen bulbs. 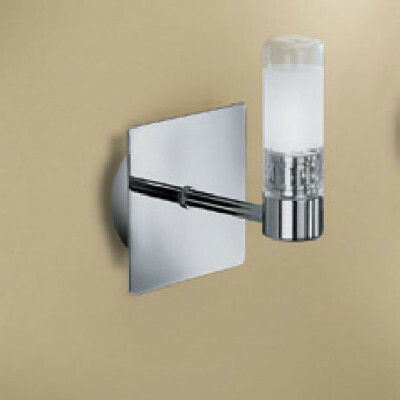 Wall spotlights with a chromed metal frame and a white etched glass diffuser. 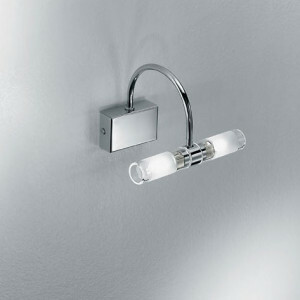 This lighting fixture is ideal for bathroom illumination thanks to its protection against water jets, and uses two 33 watt halogen bulbs.